Brewed in collaboration with Five Points, this is a delightful lunchtime beer made with Sloe and Juniper berries along wit sea salt, coriander and lemon zest. It’s fresh and snappy, clean and crisp, beginning with a lightly spiced clear gin aroma and moving into a soft creamy caramel and ice cream cornet malting, smooth and just a little bit chewy in all the right places. 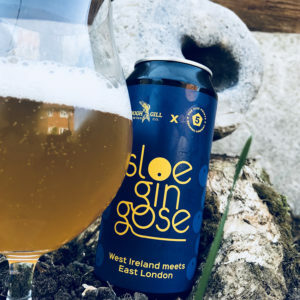 There’s the slap of herbal hops that brings a bright dry pithiness, while all those extra goodies mentioned above make the beer sparkle with life, the lemon zest is bold and tangy, the coriander adds a hint of spiciness and the salt brings a dryness to the Sloes and Juniper of the finish. 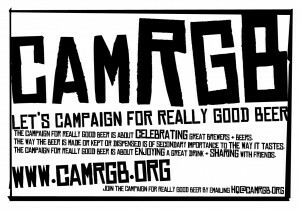 This entry was posted in Beer Review, CAMRGB and tagged Beer, Beer Review, CAMRGB, Can, Canned beer, Drinking, Fruit beer, Gose, Spiced Beer. Bookmark the permalink.